A couple years ago I started canning. It began with a simple longing to preserve some fruit to use through the year and a longing to save money. This is our second year canning large quantities of applesauce. For the last several years we have had access to several apple trees. 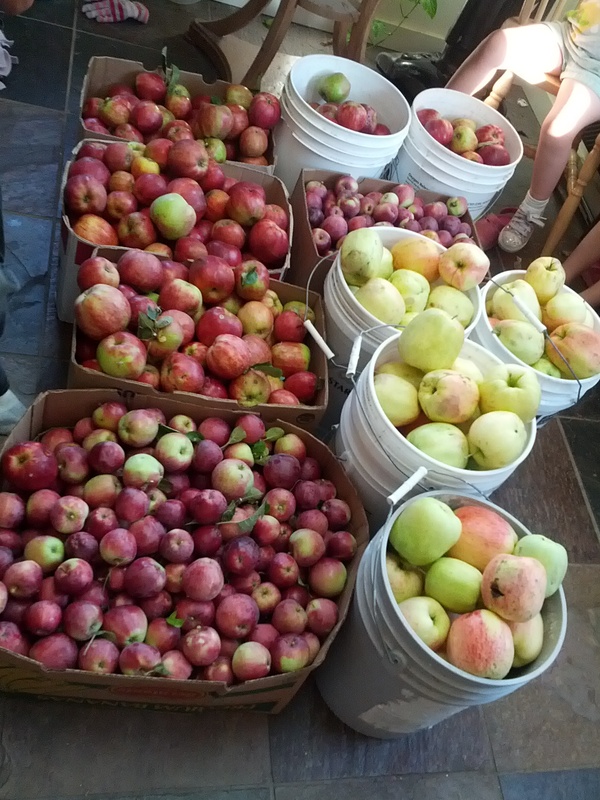 Due to this free supply of apples, ( free in cost, not time or labor) our first year of canning about broke even with the cost of store bought applesauce. Of course homemade applesauce is much better. I had found an amazing deal on a large canner (holds 9 quarts) and a conical sieve at a garage sale a couple years prior and so our expenses for that first year included: jars (with lids and rings), sugar, cinnamon and the energy to process the jars.